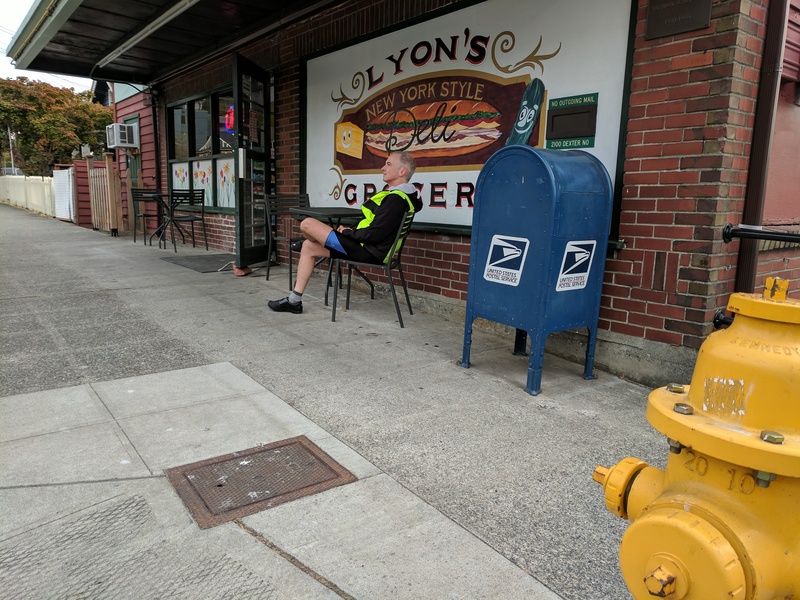 214) As I’ve said several times before, I will never pass up the opportunity to enjoy a nice sit while out hunting mailboxes. It’s made even better when I can enjoy a nice backdrop like this one at Lyon’s Grocery! But hey, notice anything a bit unusual about this box? Normally, they’re installed so the slot faces the sidewalk, but this one is turned 90 degrees. Call your city council members and demand answers!